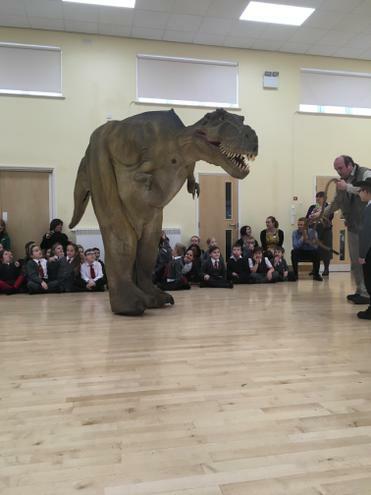 Rex the T-Rex visits school! 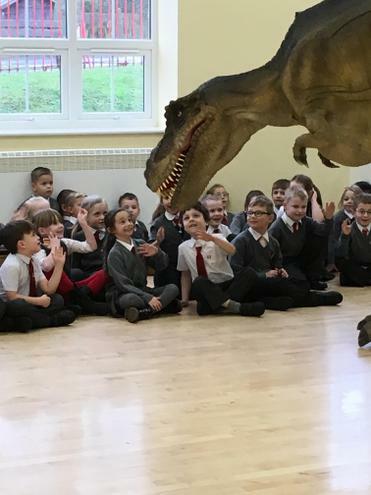 T-Rex visit to launch our Dinosaurs Project! 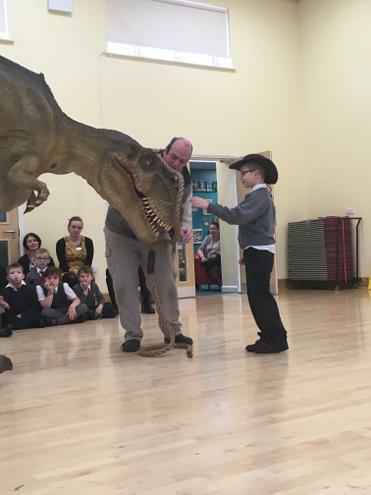 Today we have had a very special visit from Rex and Trixie the dinosaurs with their ranger, to launch our whole school project on the Dinosaurs. 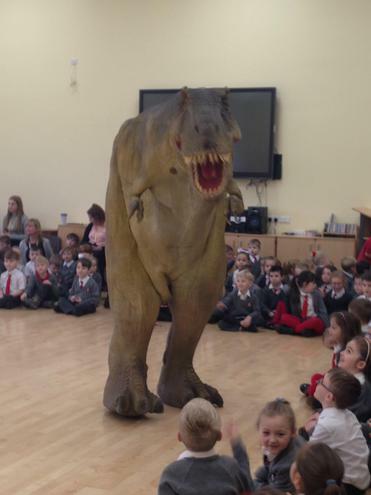 We all gathered in the hall and had to shout for Rex until he came in. 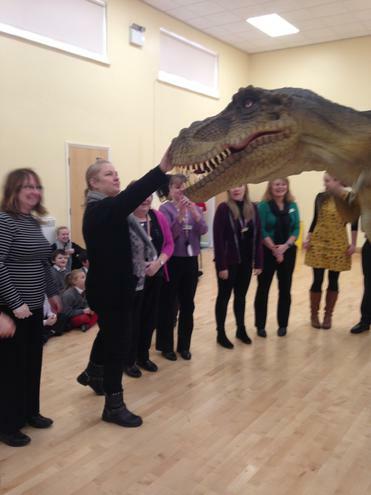 He is a very friendly T-Rex and was keen for children to stroke his nose and wave hello. 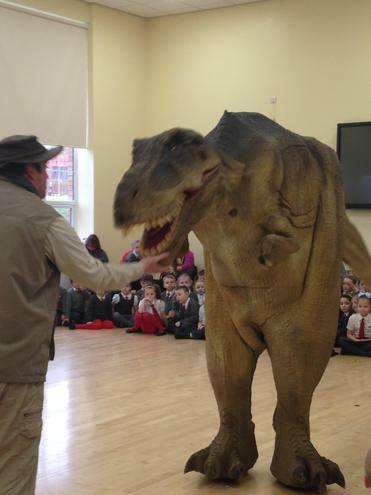 He was also a bit cheeky and kept swishing his tail around so that he knocked his ranger's hat off! 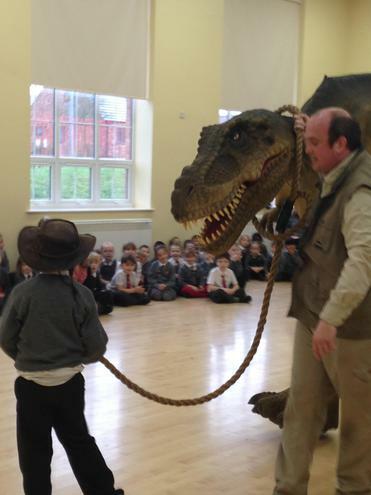 Oliwier was chosen to help put on Rex's lead and take him for a walk around the hall to meet everyone, then we all had our photos taken with Rex. 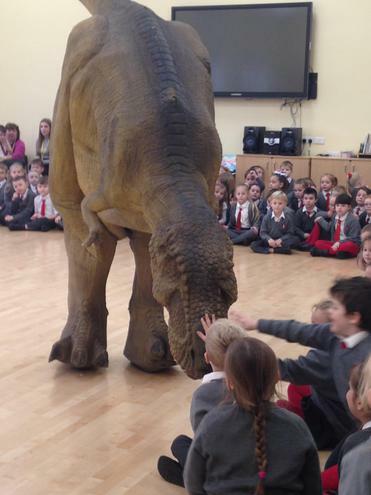 Afterwards, each year group went to see Rex and he was joined by Trixie the baby Triceratops. 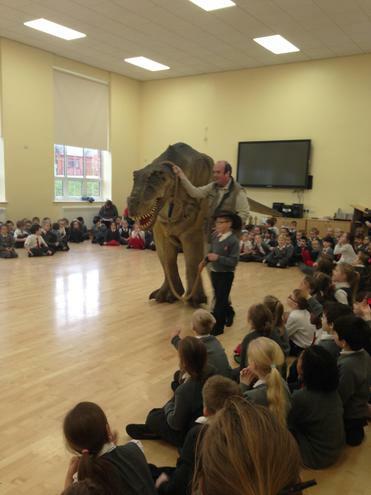 We learned lots of information about dinosaurs and asked lots of interesting questions. What an exciting way to start our project! 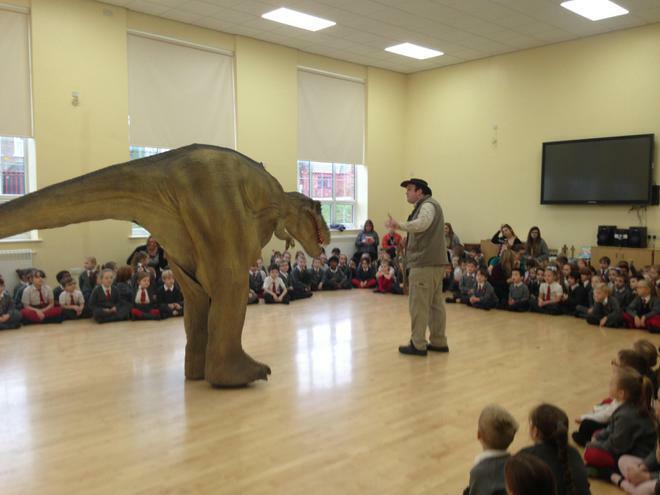 You can find out more about each year group's work this term in our Project Newsletters.